This article has been modified since originally posted. —DJ These days you can go to Cuba. You can even fly to the island nation. Yet one thing no one has been doing… is flying VFR to Cuba. According to John Craparo, this was the first time in at least 60 years. 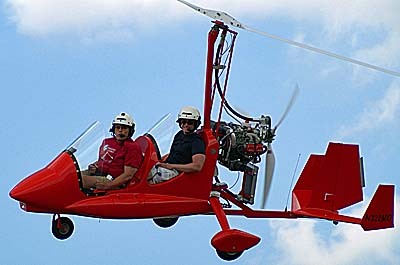 They were also the first-ever gyroplanes to arrive in Havana. 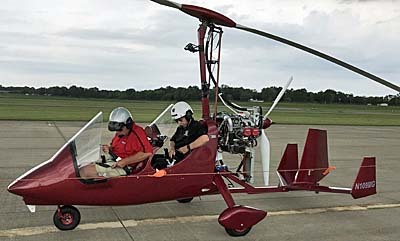 John was joined by his three gyro friends — Dayton Dabbs, Mike Baker, and Jonathan Prickett — in a pair of Magni Gyro tandem two seaters, both M16 models. 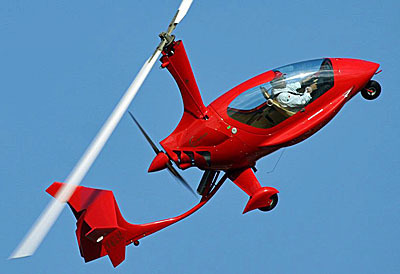 The gyroplanes were accompanied by two SportCruiser LSA, a pair of Bonanzas, and a Cirrus SR20. 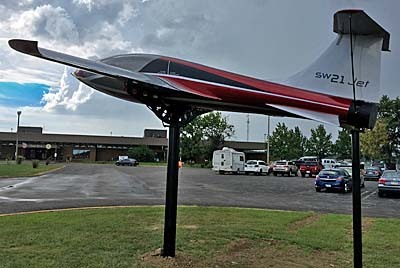 For the faster, fixed wing aircraft the 100-mile crossing was not a major challenge. 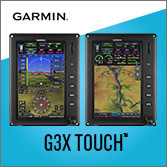 However, any water crossing where you fly out of sight of land in a single engine airplane will earn your rapt attention. Prepared for an over ocean flight where Friendship 4 would lose all sight of land. It was a bigger deal yet to cross an expanse of ocean in open cockpit gyroplanes flying less than 100 miles an hour with 19 gallons of fuel on board. Doing so into a strong headwind added a further complication. Then, you have Cuban air traffic controllers who had never handled a VFR arrival. Besides circuitous vectoring, one of the gyros was assigned a holding pattern with fuel diminishing by the minute. See how this got interesting? 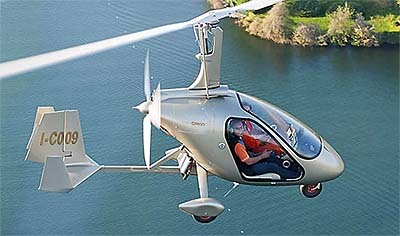 John is no stranger to long distance flying in his gyroplane. He and partner Dayton Dabbs earned several FAI and NAA records for gyroplane flying. A recent expedition took them from Dallas’ Love field, to Santa Monica, to New York’s La Guardia, and back to Dallas. That continental criss-crossing in a open cockpit aircraft flying less than 100 miles an hour convinced them the flight to Cuba was quite achievable. Indeed, the trip from home base in Texas to the jump-off point of Marathon Key airport (KMTH) in Florida was a much longer trip than the final leg to Cuba. John and Dayton fly another M16 Magni Gryo. Why “Friendship 4?” John explained the name is a adaptation from Friendship 7, the famous John Glenn pioneering flight into space. John Craparo said, “This was a people to people tour, to show Cubans that Americans are good people.” At that goal, the group seemed to succeed with big smiles, shaking of many hands, and warm embraces from Cuban people. Even state officials were receptive to their visit. “We were assigned no government ‘handlers’,” added Craparo. 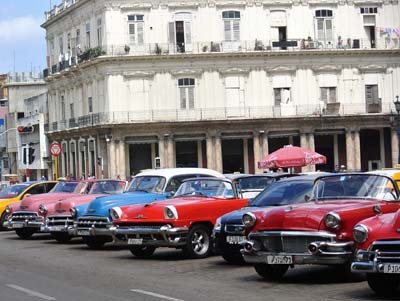 The visit to Cuba was about both the destination and voyage. 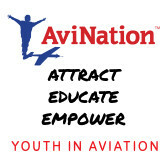 Since you’ll be able to read more and more about the island nation, this article focuses on the flying of light aircraft. Some challenges are obvious; others less so. Although governments have eased the permissions required, the task is still rather daunting. 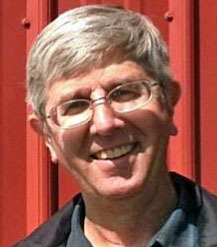 John enlisted the aid of AirRally.com, a Canadian company that handled the effort of assuring the right steps were taken. 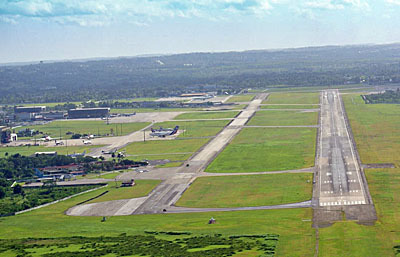 On approach to Havana's José Martí International Airport. The group had a tight schedule. Their special visas required they fly over on May 19th with mandatory return on the 22nd. Those were the assigned travel days and weather could not be an excuse for delays. 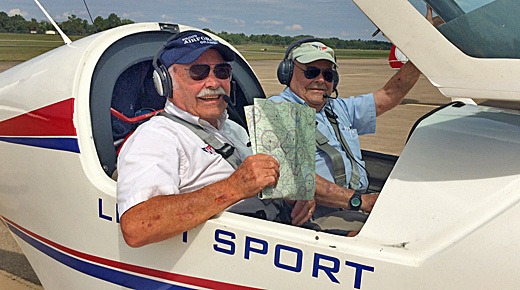 “We flew at 85 knots but fought a 30-knot headwind,” recalled John Craparo. The 100 nautical mile trip plus maneuvering for traffic would consume more than two hours and the majority of their fuel supply. Therefore obtaining fuel in Cuba was a must. “We wondered if 100LL fuel or any alternative was available as, unlike the fixed wing airplanes, we lacked sufficient fuel to make the round trip.” John and the gyro team discussed the task beforehand and elected to go. Yet they didn’t know about the headwind or the air traffic control experience when they made this decision. The straight line distance was only about 100 nautical miles but with ATC vectoring, it was closer to 130 nautical. 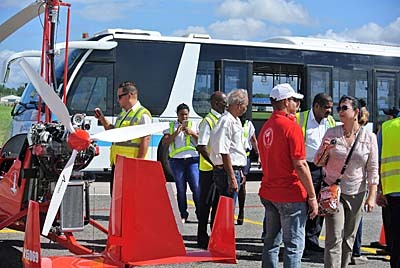 The gyroplane team was warmly received by officials. Other than the headwind, the crossing was uneventful, but remember, the controllers had never handled a VFR flight so vectoring and being directed into clouds resulted. 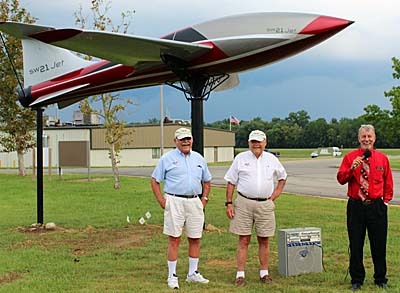 “We had five or 10 minutes of uncertainty with ATC after advising them we could not do IFR flight,” John clarified. 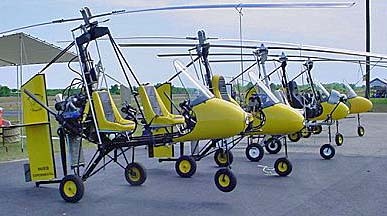 Like controllers around the world, the Cubans spoke English but the pair of gyroplanes had to work things out in the air. Sights in Havana stir memories of the '50s. John’s Magni got on the ground first and successfully, but after waiting anxiously, still had no word about the other M16 gyroplane. “They had been put in a holding pattern and were ignored for a time,” related John. It was only minutes but, given the situation, seemed like hours. After pleading their fuel predicament to Cuban controllers, they were finally given clearance to land. “When the second gyroplane shut down, 1.5 gallons — 15 to 20 minutes‘ worth — of fuel remained, exclaimed John! 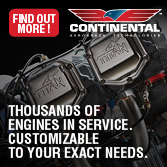 John recorded his time from engine start in Marathon, Florida to shutdown in Havana at 2.5 hours. To compare, with calm winds on the return to America, the flight was only 1.5 hours. 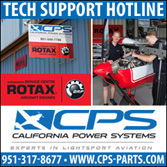 These Rotax engines burn between four to six gallons per hour depending on the power setting, so two and half hours equates to 12-15 gallons used. With 19 total on board, a return flight was not possible. The second gyro, delayed longer by Cuban ATC, consumed more of their supply. Being safe on the ground is good but clearly the gyro team needed to negotiate some fuel and only Jet A was commonly supplied on the airport. (Left to right) Mike Baker, John Craparo, Dayton Dabbs, and Jonathan Prickett. 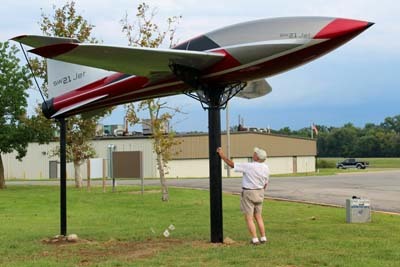 After lengthy discussions — including the possibility of siphoning fuel from one or more of the GA airplanes who were not fuel challenged — a solution was found with help from the AirRally people. 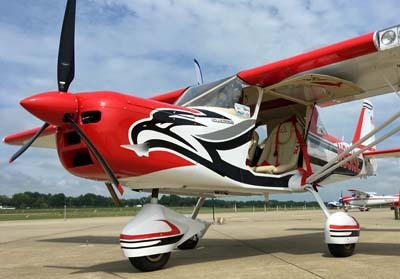 A fuel truck was procured and the gyroplanes were fueled with what was described as 100 octane fuel at a modest price. “All things considered it seemed a good value,” John said. Payment had to be in cash; credit cards are not used in Cuba. John and partners were prepared, thanks to their own study and advice from AirRally.com. 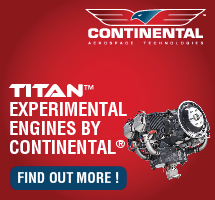 “We ran the engines for a time after uploading the fuel,” John indicated, but the fuel turned out to be good and the flight home went without incident. 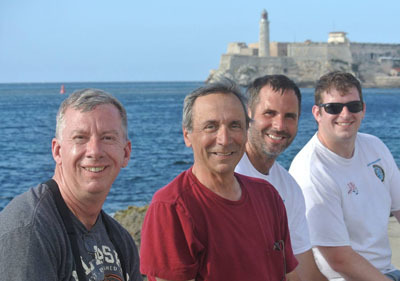 The experience in Cuba was excellent and interesting, according to the flight of seven. Friendship 4 will no doubt replay the trip in their minds for years to come, especially the rather tense arrival. "Thanks to everyone who cheered us on," finished John. This article has been modified since originally posted. —DJ These days you can go to Cuba. You can even fly to the island nation. Yet one thing no one has been doing… is flying VFR to Cuba. According to John Craparo, this was the first time in at least 60 years. They were also the first-ever gyroplanes to arrive in Havana. 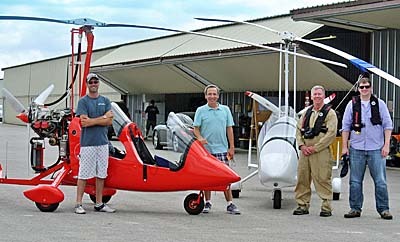 John was joined by his three gyro friends — Dayton Dabbs, Mike Baker, and Jonathan Prickett — in a pair of Magni Gyro tandem two seaters, both M16 models. 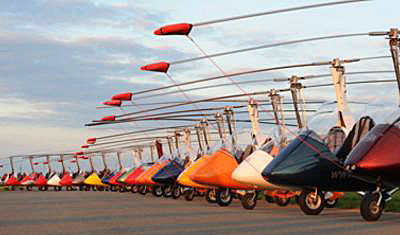 The gyroplanes were accompanied by two SportCruiser LSA, a pair of Bonanzas, and a Cirrus SR20. For the faster, fixed wing aircraft the 100-mile crossing was not a major challenge. However, any water crossing where you fly out of sight of land in a single engine airplane will earn your rapt attention. It was a bigger deal yet to cross an expanse of ocean in open cockpit gyroplanes flying less than 100 miles an hour with 19 gallons of fuel on board. 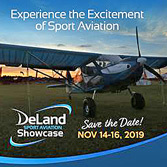 Catch our video with Greg Gremminger to hear about two models from Magni Gyro (shot at the Midwest LSA Expo that is coming up on September 10-11-12). Record-seeking pilot Paul Salmon probably won't fuel up like this Magni pilot; he is carrying an addition 30 gallons in the aft seat. As I write this, an intrepid gyro pilot is "out on the course" as we used to say when I flew in hang gliding competitions. By the time you read this, he may be all the way home. What a great effort! I hope Paul earns a world record but either way, I feel certain he enjoyed the experience. 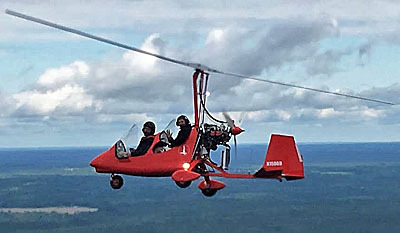 "Paul Salmon is currently crossing the country in a record attempt in a Magni M22," said Greg Gremminger, importer for the Italian Magni Gyro line of aircraft. 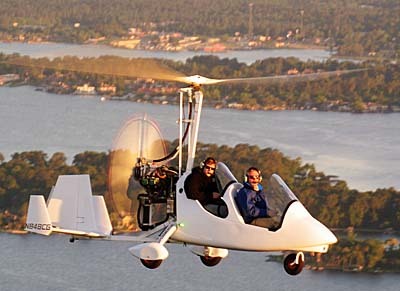 "He is trying to set the record for a gyroplane to cross the country in both directions." Greg added that Paul is on pace to set the record time, back and forth, in just four days. "This attempt is in the 500 kilogram + (1,100 pound) gyroplane category," added Greg. "There are no records established for this category. The under 500 kilogram category gyro record is currently about 14 days. So, if Paul is successful, he will hold the record for gyroplanes overall, and gyroplanes under 500 kilogram." "Paul named his gyro "Missing Link II," said Greg. 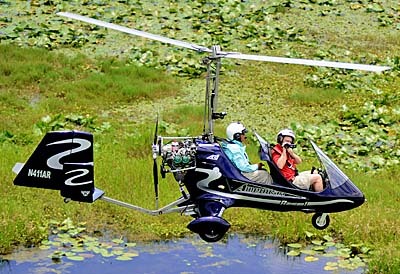 "Johnny Miller set the initial gyroplane record in his "Missing Link" Autogyro in May of 1931." Eighty four years later, Paul left Torrance, California on Sunday morning, August 23rd at 6:00 AM as soon as the tower opened. He arrived in Jacksonville, Florida on Monday evening. He's already headed back west, and according to Greg, will probably stop for the night in El Paso, Texas. If all goes well, he should arrive back in California on Wednesday evening the 26th. Whew! If you read this soon enough, you can follow the final stretch at this link. On Friday the 21st Paul repositioned Missing Link II to Torrance California from his home base in Cape Girardeau, Missouri. 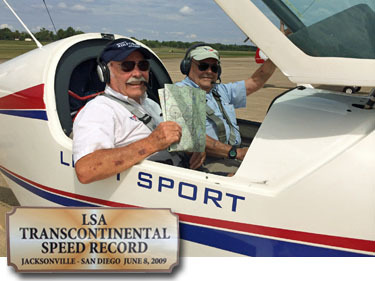 He expected to set a new Eastbound Transcontinental Gyroplane record. 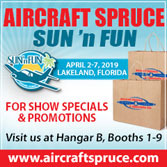 "After arriving in Jacksonville I will be filing some paperwork, refueling the gyroplane and departing on the return flight back to Torrance, California," wrote Paul. 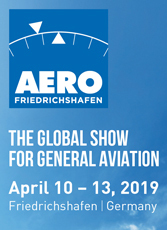 The return trip will establish a new Westbound Transcontinental Gyroplane record, as well as a new Transcontinental "Round trip" Gyroplane record. 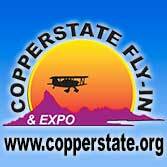 According to Paul, the first transcontinental gyroplane flight and record was set by Johnny Miller in May of 1931. Amelia Earhart attempted the flight but was unsuccessful. "Andy Keech is the current holder of the record," Paul added, "and I am attempting to improve on his record." Arriving at Jacksonville at about 5:30 Florida time, Paul took two days to fly across the country, reported Greg. His first day of flying was about 16 hours and the second day about 14.5 hours. "The record is for the total time to cross the country and return. So, this will be about 4 days," wrote Greg, smashing the current record of 14 days. As he made his mad dash east then west, Paul was carrying 100 small American flags. "These will be mounted in a display and sold for $100 each," wrote Paul. He indicated the proceeds will be sent to the ALS Association, in memory of Dr. Scott Gibbs, a former helicopter student of Paul's who recently perished from ALS. "He was a talented and caring physician and is missed by me and the community." Paul is carrying an extra 30-gallon fuel bladder in back seat as he makes his record-seeking flight. "After this attempt, he may add more fuel bladders and attempt to set the world endurance flight record in a gyro," wrote Greg, "as well as the longest, nonstop leg in a gyro." One wonders how such an active fellow has time for his day job. Paul Salmon is an emergency room doctor who Greg says knows how to take power naps when necessary, a skill that may be useful between long flying legs. 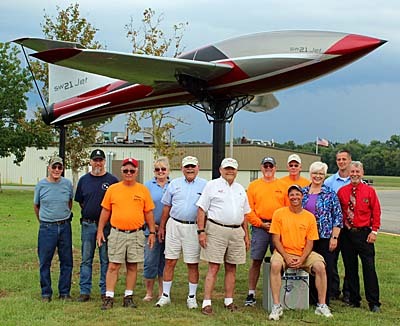 "He got his rotary wings in Magni gyros more ten years ago," Greg recalled. 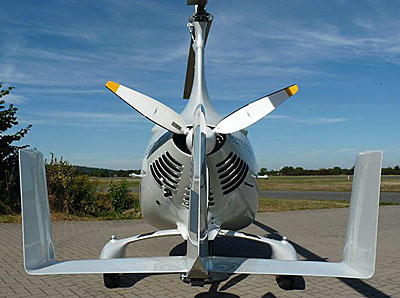 "His record-attempt aircraft is the fourth Magni gyro he has owned." 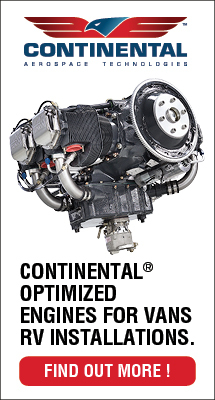 Paul is also a helicopter instructor and has a Robinson dealership plus a certified repair facility in Missouri. "He may be the most active helo instructor in the state," added Greg! Unfortunately, as the FAA never approved gyroplanes to be fully built Special LSA, Paul cannot provide compensated instruction in gyros, although various groups including LAMA are investigating how to change that restriction. As I write this, an intrepid gyro pilot is “out on the course” as we used to say when I flew in hang gliding competitions. By the time you read this, he may be all the way home. What a great effort! I hope Paul earns a world record but either way, I feel certain he enjoyed the experience. 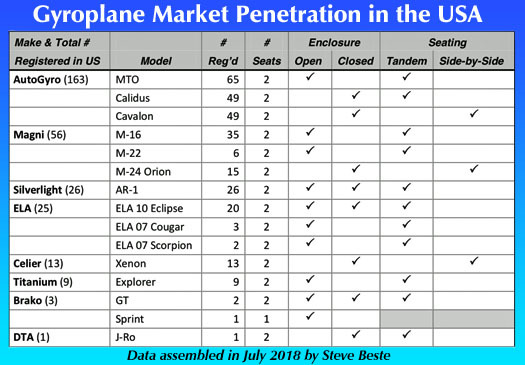 “Paul Salmon is currently crossing the country in a record attempt in a Magni M22,” said Greg Gremminger, importer for the Italian Magni Gyro line of aircraft. “He is trying to set the record for a gyroplane to cross the country in both directions.” Greg added that Paul is on pace to set the record time, back and forth, in just four days. 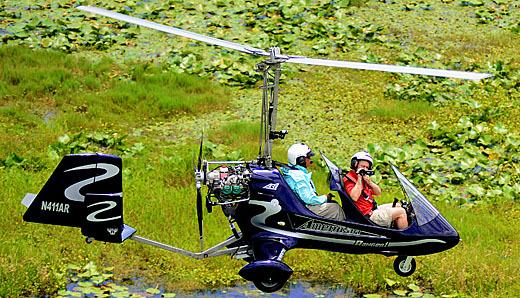 “This attempt is in the 500 kilogram + (1,100 pound) gyroplane category,” added Greg. “There are no records established for this category. The under 500 kilogram category gyro record is currently about 14 days. 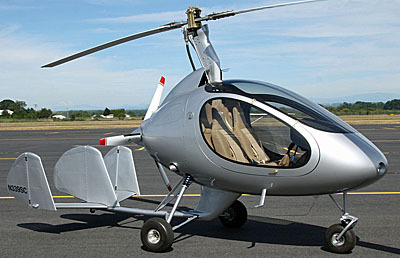 Read More About: M-22 Voyager Magni Gyro S.r.l.